More and more, typical industrial development in the Inland Empire will look like this. Instead of one large warehouse with lots of truck doors, cities will require smaller buildings so not to conflict with nearby residential communities. This planning protocol significantly increases the costs for the developer but it creates opportunities for Occupiers who wouldn’t ordinarily find a building in smaller sizes to purchase. Because of space shortages in Los Angeles, a location like this, on the extreme western side of the Inland Empire – 40 miles from downtown Los Angeles and 60 miles from the Los Angeles Ports – has become an infill location. In addition, unlike many other developments on the drawing board, this project has all the infrastructure in place and can be occupied in 14 months or less. Sizes are deceptive. 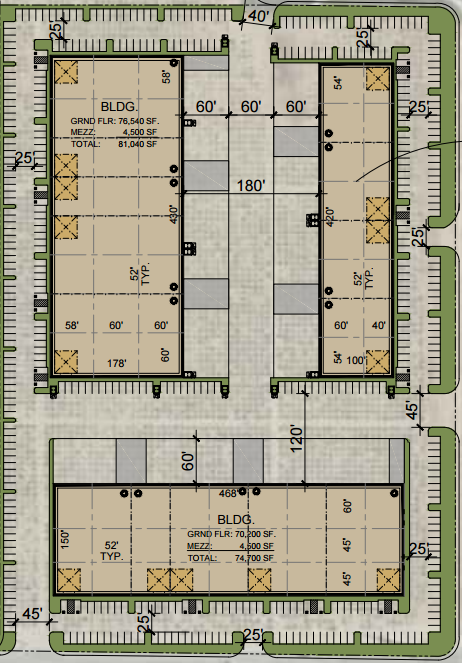 These buildings will be 80,000 SF, 75,000 SF and 22,000 SF. For many Occupiers in older buildings, moving to a new building with 32’ to 36’ ceilings will increase your warehouse by 25% to 50% for a very marginal additional cost. In other words, the same footprint will likely handle your need for more space. Development costs for a building like this will run $100 per square foot. Current lease rates yield about a 5% return on project costs. Occupiers who get in at an early stage of development will buy closest to cost. By the time the property goes through development and holding periods, the developer will seek a higher price for taking added speculative risk. In contrast, if you can find a building like this in Los Angeles it will cost $150 to $170 per foot and ceiling heights will not typically be as high. Not enough buildings are being built for Occupiers to purchase. Everything is being snapped up by institutional investors for long term investment. While space is scarce, it’s made even more so because of intense competition from the capital markets. Getting in at the “ground floor” is where the deals are. This entry was posted in Uncategorized on July 24, 2016 by Klein James. SIOR had their first European Conference in London at the end of June. Coincidentally, it was at the same time as the Brexit Referendum. The day before, gleeful developers, confident at being the center of the developed world were completely dazed by the results the next morning, with news of their world being threatened. However, it did not take long to speculate about the opportunities, not only in London but under a new financial order. The immediate challenge on the “day after” was to decide on the “Brexit” termination clause that many contracts had. All with a narrow time to exercise. Longer term, there is a 2-year period to exit the European Union and until that time, anything can happen, making investment decisions uncertain. It’s compounded by a robust development scene with supply on the way. On one day touring the Docklands and the former Olympic Center, Stratford International, we counted over 100 cranes building more homes and offices for the European financial industry. New high-rise communities are also in abundance to house a growing population, just surpassing its previous peak of 8.6 Million people in 1939. The morning after Brexit we saw Pubs across London with crowds spilling spill out onto the street. If the pub numbers around the financial districts are an indication to the vacancies being left behind, Brexit will create a substantial hole at Canary Wharf and the neighboring Docklands. Not swayed at all by the Brexit, opportunistic investors are looking ahead to bargains. One theme on the industrial side, is buying real estate from companies who may lose access to the Common Market. Just as in most cities, closer in holdings are overtaken sooner on the path of development, but the excellent light rail, makes more distant areas attractive because of the larger sites to build communities. However, with the amount of current construction activity coupled with the Brexit news, holding periods likely increased substantially. We saw many examples of well located industrial property as we traveled on the A13. 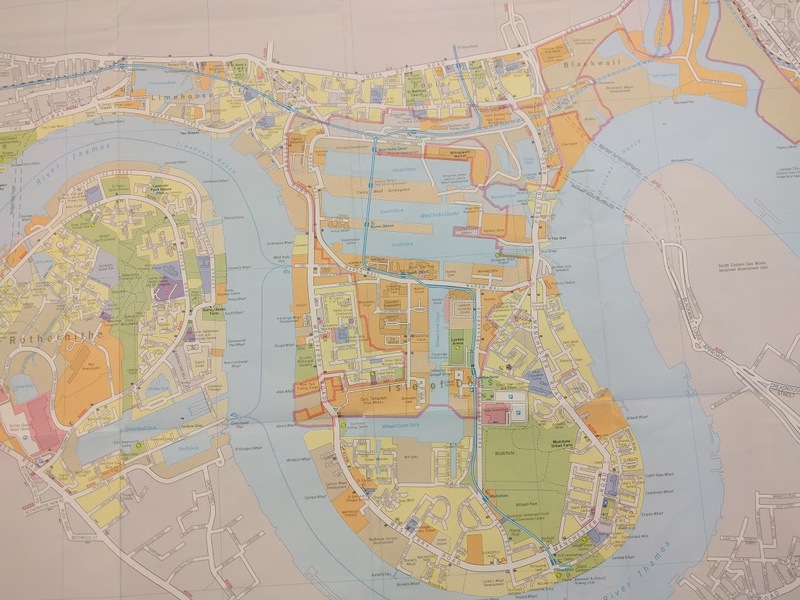 We were on our way to see the DP World London Gateway, a large port development half way to building six Super Panamax sized berths with a large industrial park. Capital flow was widely debated, not only where, but in what form. Germany and the United States were predicted to be the recipient of massive waves of capital. Transparency and scale are the most important reasons and no other countries compare. Limited Partnerships are the investment vehicles of choice particularly for large Asian investors. They prefer discrete investments in Limited Partnerships to maintain a low profile and avoid scrutiny. A favored investment are large distribution buildings in major gateway markets. Capital preservation is the goal for many. The focus is on current returns not IRR. A moderately leveraged return of 6% for a long term lease with indexation and no intent to ever sell. No secondary cities. At least up until Brexit it was London, not England. Paris, not France. Gateway cities in the U.S. Logistics is a favored investment. International investors resemble sovereign capital but on a more flexible and fungible basis. Undoubtedly they will give institutional investors strong competition for long term, moderate return investments. The keynote session by Martin Wolf, chief economics commentator at the Financial Times, on the day of the Brexit vote is paraphrased because of his shrewd comments about macroeconomics and central banking. He also mentioned political risks in an era of rising Populism. The current economic landscape shows low interest rates, slow growth, and low productivity with no end in sight. Demography is the largest factor because of an aging population. 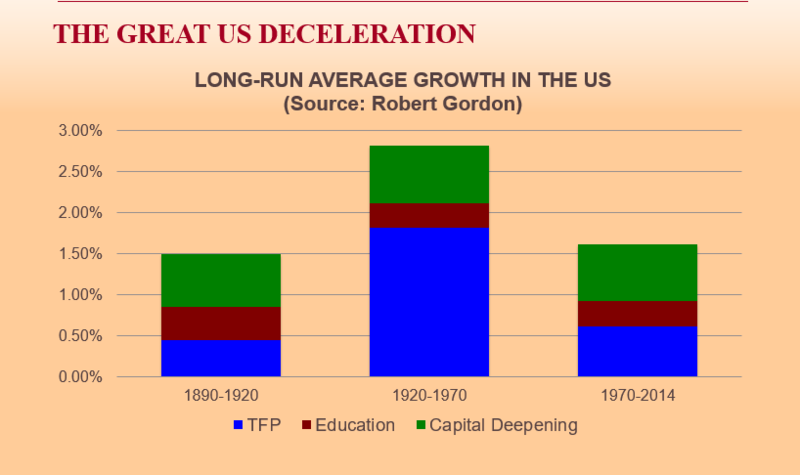 He praised Robert Gordon, in his masterwork of this year, The Rise and Fall of American Growth, which demonstrates a future of low growth compared to the past 100 years, mostly due to one-time technological achievements that will not be repeated. In addition, neither corporations or governments are investing, unsure of a payback, and hamstrung by austerity. He closed by saying Brexit is the worst political blunder of a lifetime. To a question about high asset values and bubbles, his answer was high values are a rational response to low interest rates causing investors to seek out yield wherever possible. This does not mean that high prices may be reversed at some time, but 4% Cap Rates in comparison to zero rates at the banks has a clear investment rationale. He elaborated we are in a long term, 20-year trend of declining interest rates. 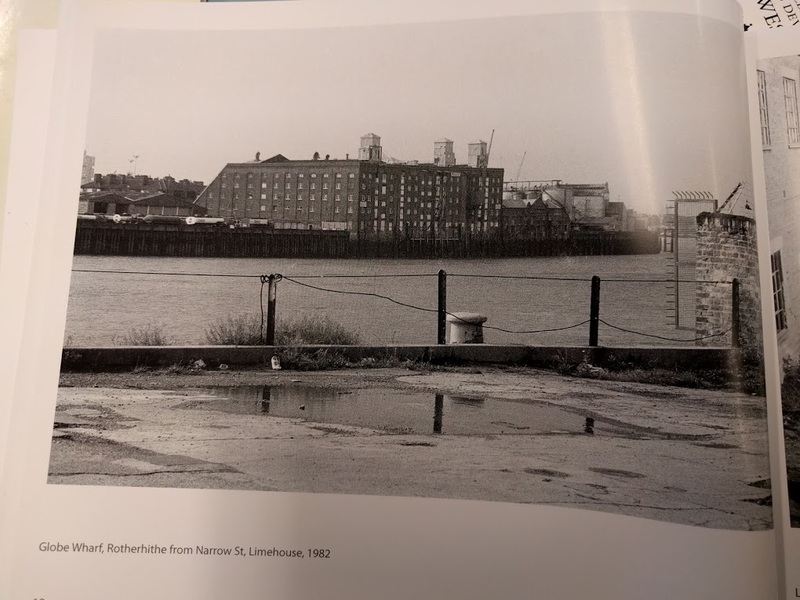 The final speaker of note was Sir Stuart Lipton, a prominent London developer of large scale high rises and communities. He came to make a point. We are not building for the current society and developers are leaving a lot of needs unmet. We are still building the way we did hundreds of years ago, not for today. The goal is communities where people can be happy and successful. Elements include sharing, social, mobile, global, tech, and working together. The clearest example we have are WeWork and Airbnb. These businesses represent principles for every building. Building is a servant and service is primitive. Culture is changing, but not the real estate. On a larger scale, the same principles lead to questions of Smart Cities, Civic Cities and what makes for Great Cities. Hallmarks are University Towns and Village Greens. Urban areas, that contain clusters and a variety of activities all creating an infrastructure of success. Or as Stuart said, a great civic space requires the 2P’s, and one of them is a Park. There are new, big projects popping up in major cities that combine spaces with creativity, productivity, social, and almost always, food. The SIOR European Chapter hosted a wonderful conference. Total attendees exceeded 200 and for the first time, Americans were clearly in the minority. I learned a lot about Europe and because of the intimate setting, I could meet everyone. Besides the superior education, there was time for social activities and exploration of London. There will be opportunities for years to come. This entry was posted in Uncategorized on July 5, 2016 by Klein James.